Liven things up with more than 20 colors and dual-color jetted mashables. Convenience in the palm of your hand: print direct from the Cubify app for iOS and Android. Make time by saving time with quick set up, an intuitive, color touchscreen UI for wireless and on the go printing that is 2X faster than other printers. Insta-load cartridges, preloaded filament jets and auto-leveling print pad for beautiful, effortless prints every time. Kid-Safe for every home. Fun for everyone, certified-safe home printing invites children to explore their creativity. Robo C2 Compact Smart 3D Printer – Make the Imagined. The Robo C2 compact smart 3D printer with Wi-Fi gives you the freedom to make whatever you can imagine right from your mobile device using the Robo app. 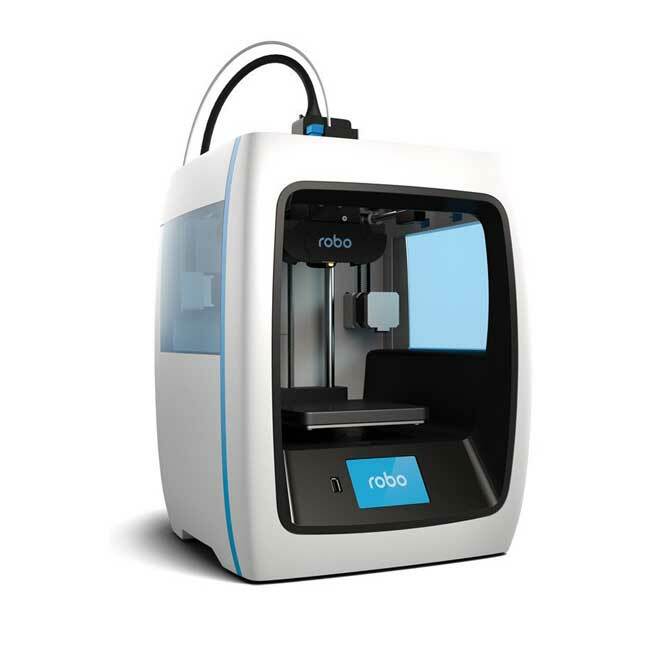 Engineered to fit anywhere in your home or workplace, Robo C2 features an efficient 5 x 5 x 6 in print size, 3.5 in built-in color touch screen, class-leading print speed, automatic self-leveling and prints more than 20 different materials. When you want to make it real — make it Robo. Take control of every detail in real time with the built-in 3.5 in color touch screen and precision sensor technology. Enjoy a 5 x 5 x 6 in print size that’s perfect for nearly any project. Easily make more and print with 20+ types of materials and filaments (non-heated print beds only). 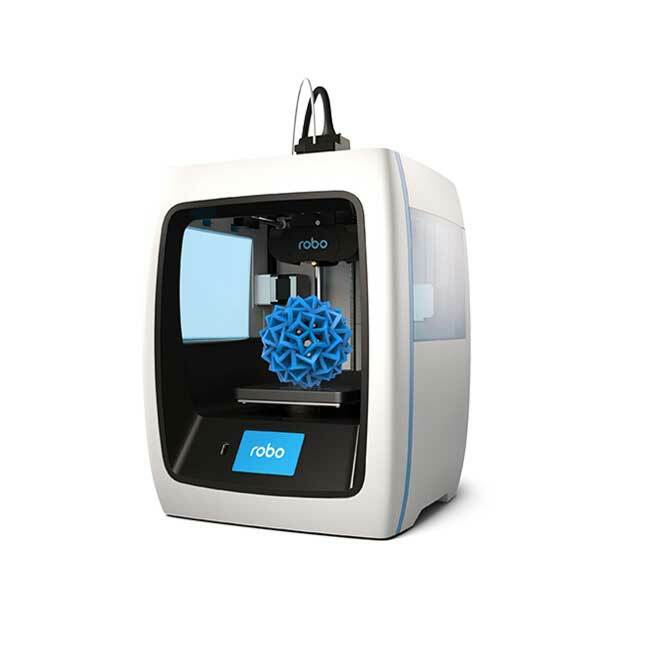 Quickly cools each print to ensure the utmost quality and consistency in everything you make. Easy-to-clean bottom tray keeps your printer looking sharp and always ready to make. A Look that Inspires, inviting modern design immediately engages you to start making – and looks great in any home or workplace. 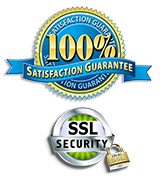 Lifetime support standard, with warranties to fit every need. Robo’s Lifetime 24/7 Customer Support with 12 month limited warranty comes standard, but if you want peace of mind beyond this time, Robo offers plans to suit every need. 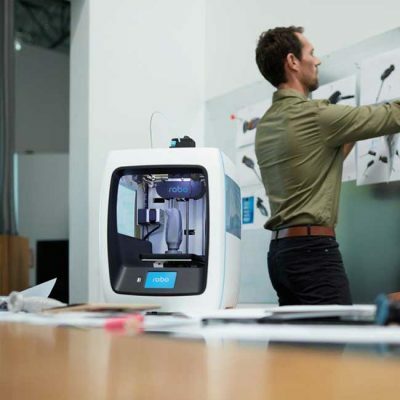 FREE Commercial Version of AUTODESK FUSION 360 for you to easily access professional industrial and mechanical design ideas with this concept-to-production toolset. 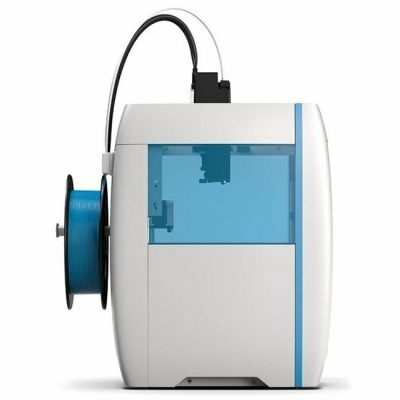 Standalone 3D Printing from USB stick, WiFi Printing from app.